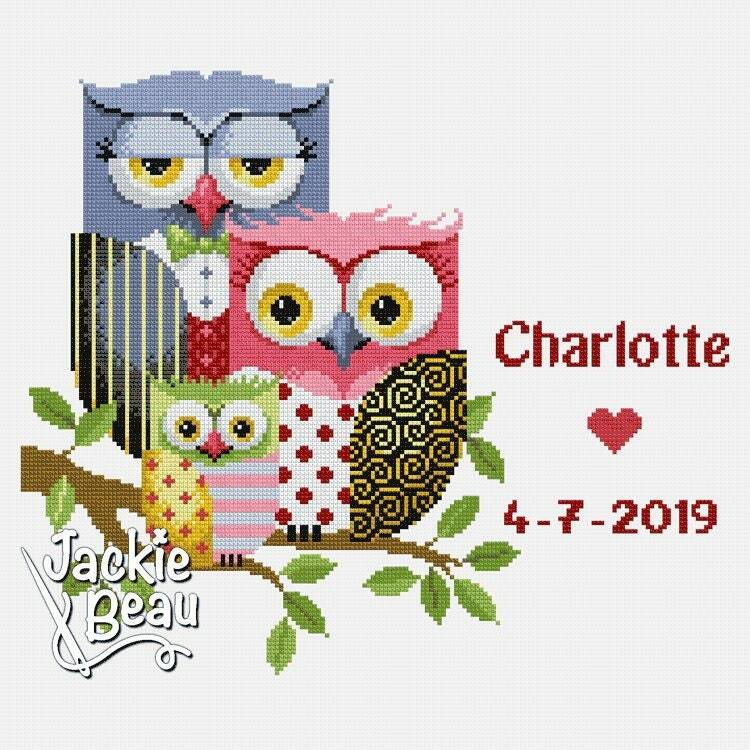 Cross stitch design "Owls family" with pattern. The measurements are 120 X 145 stitches, without text space. There are 22 DMC colors used over 10,314 cross stitches. With prints of an alphabet, you can embroider text in cross stitch (3 X A4).